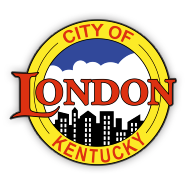 London City Council recognized three new department heads Monday night, brought on by the retirements of Larry Vanhook and Derek House. Carl Hacker, left, was named chief of the London Fire Department. He has been with the department for 32 years. John Allen, center, was appointed chief of the London-Laurel County Rescue Squad, where he has served for 30 years. Darrel Kilburn, right, was named chief of the London Police Department. He has been with the department since 2002, and previously served as assistant chief. The 2019 political swearing in ceremony was held at the London Community Center for incoming city and county officials. The 2019-2020 London City Council sworn in include: (From left to right) Noah White, Mayor Troy Rudder, Steve Berry, Daniel Carmack, Bobby Jo Parman, Danny Phelps and Judd Weaver.